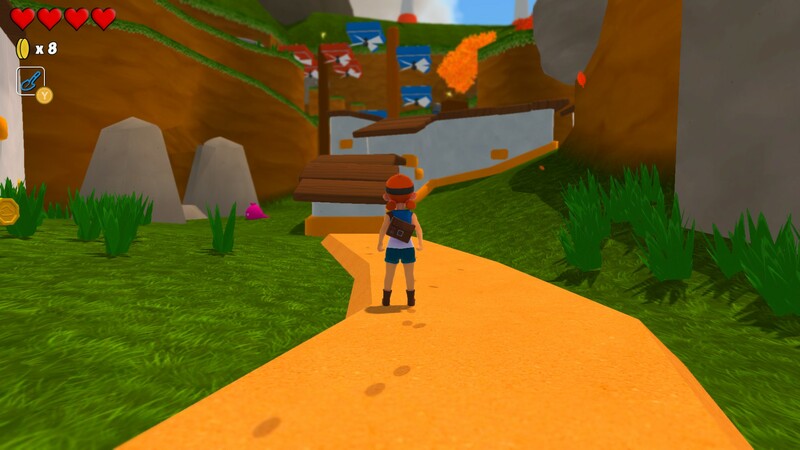 In Poi, the next map you explore after The Forest is Cozy Canyon, an expansive multi-level location with several hidden secrets (including a special costume). 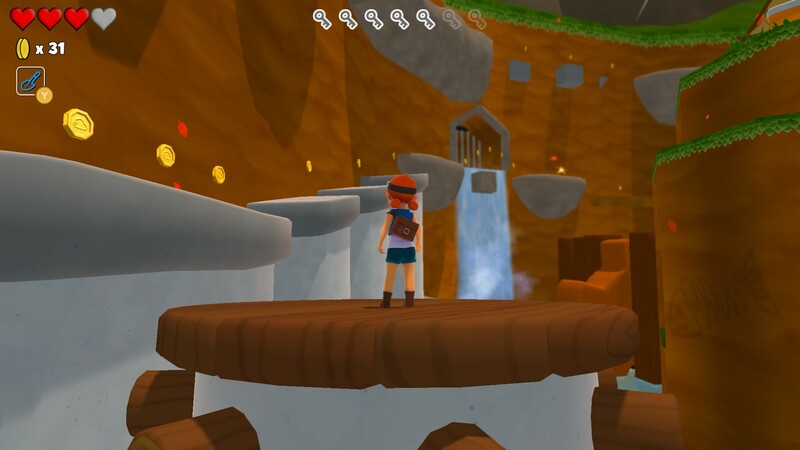 While the map is gorgeous, the moving platforms and various monsters can make traversing through Cozy Canyon difficult. 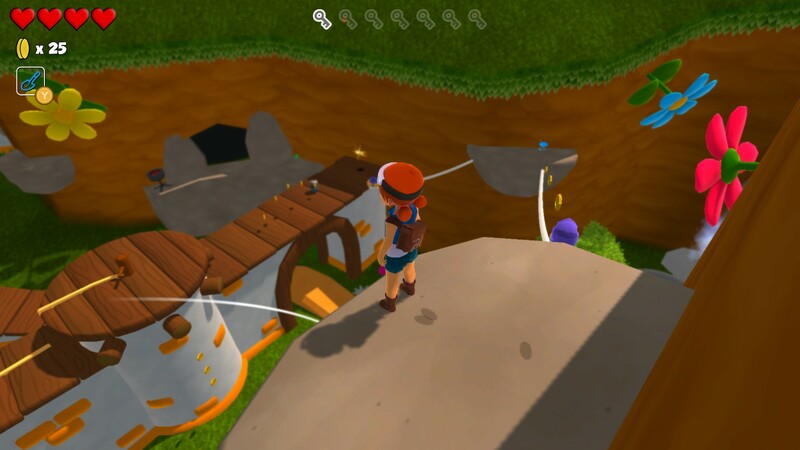 To help, we’ve put together a guide on how to unlock all 7 Explorer Medallions in Poi’s Cozy Canyon map. 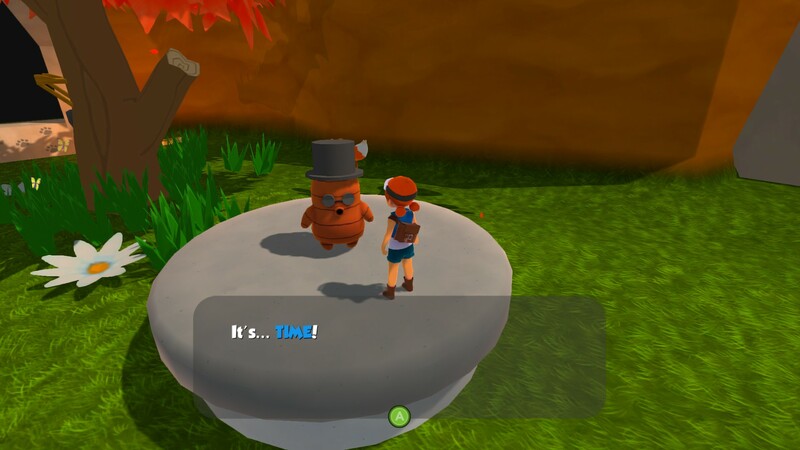 Cozy Canyon contains 7 different Explorer Medallions to unlock, two of which are obtainable through quests similar to the ones you previously completed in The Forest. To explore Cozy Canyon, head to the center of the Master Explorer’s ship. There, you’ll find a large compass that acts like a wheel. Grab onto one of the poles and push it to turn the ship in the direction of Cozy Canyon. Finally, click on the prompt and head to Cozy Canyon. 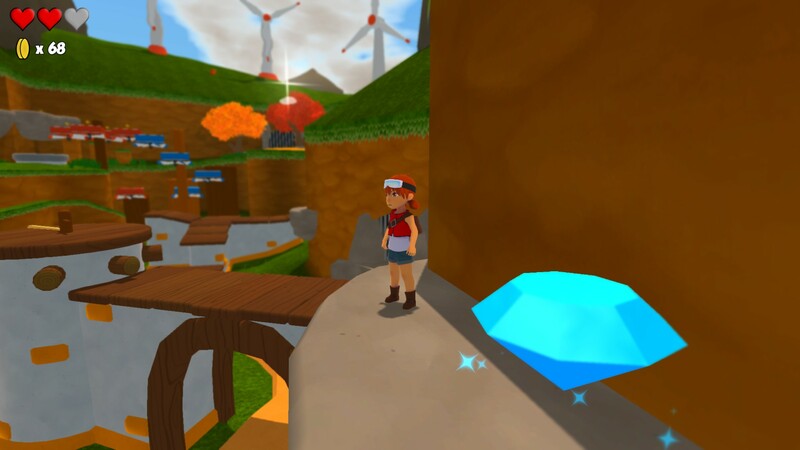 The first quest in Cozy Canyon tasks you with powering up the large windmill located in the center of the map. 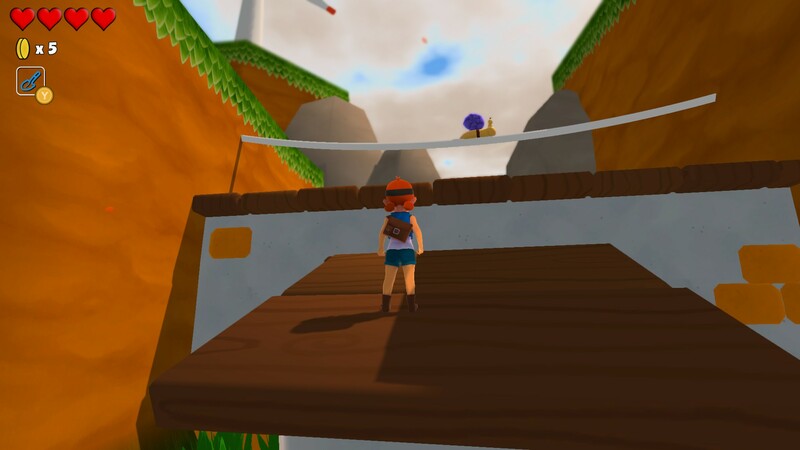 To reach the windmill, head straight down the yellow path toward the staggered wooden platforms. 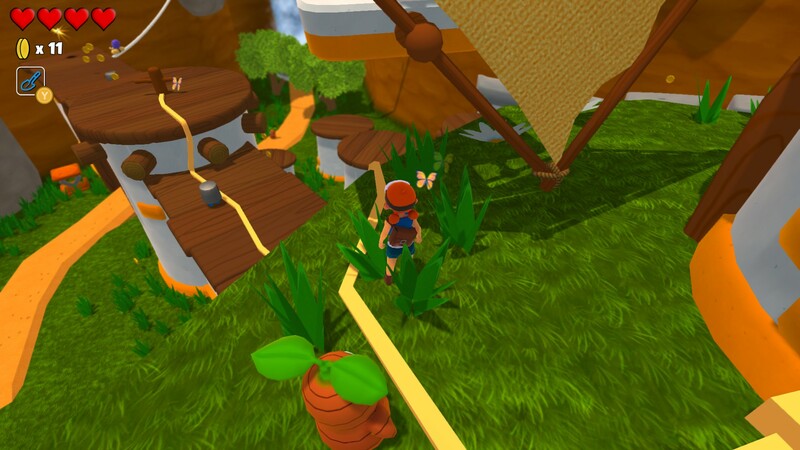 Head up the wooden platforms and turn left to find the windmill. Climb up the thin grassy ledge to the top where the windmill is located. Walk past the windmill in the direction of the Tweedle Dee and look down. 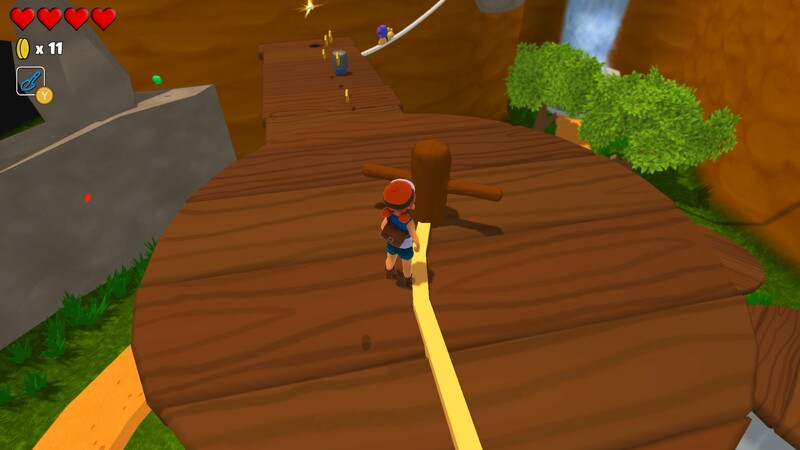 A yellow line extends out from the windmill down toward a crank located atop a circular wooden platform. The crank functions just like the large compass on the Master Explorer's ship. To turn the crank, grab one of the wooden poles and push. 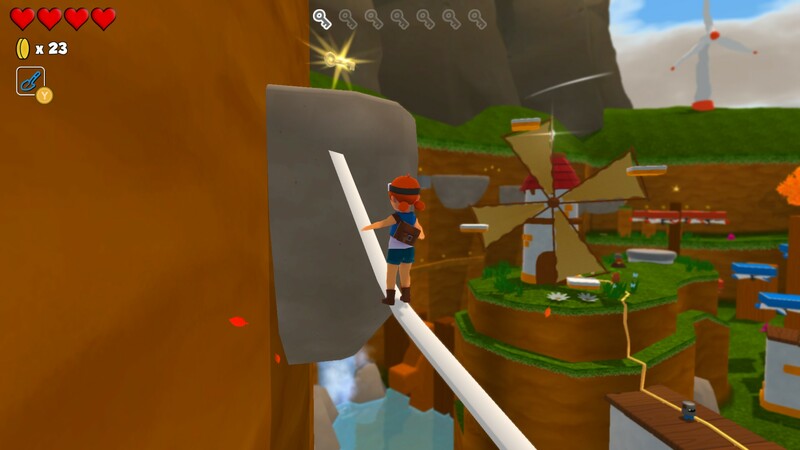 This will activate the windmill and unlock the Activate the Windmill Explorer Medallion. Head back to the windmill and hop aboard one of the four moving platforms attached to the windmill's four blades. 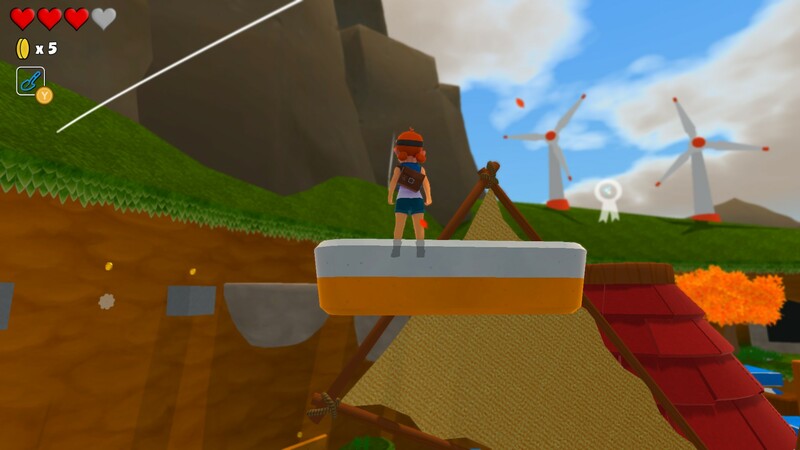 Ride the platform all the way up to the top to collect the first Explorer Medallion in Cozy Canyon. 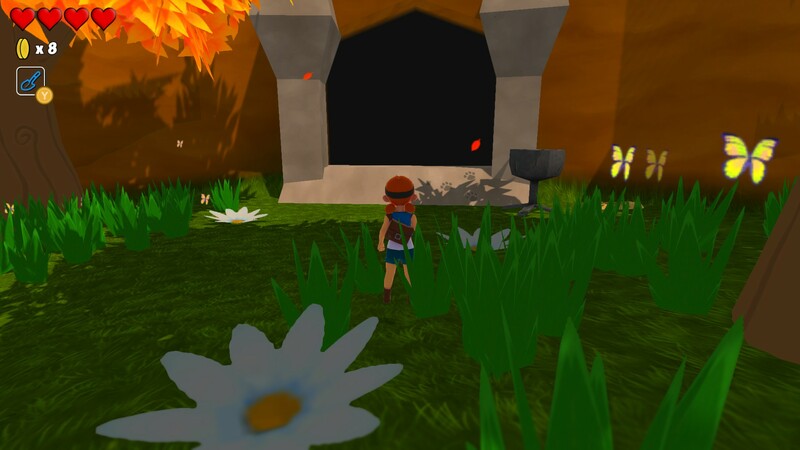 The second quest in Poi's Cozy Canyon map is The Flower Festival. To begin The Flower Festival quest, head straight down the same yellow path used to reach the windmill. However, instead of turning left in the direction of the windmill, head right in the direction of a white rope with a snail on top. After jumping onto the rope, either avoid the snail or kill it by jumping straight up while on the rope and landing on the snail's back. After crossing the rope, head toward the three Tweedle Dees located in a circular patch of sand. Interact with one to begin The Flower Festival quest. The Tweedle Dee will ask you to help them find their lost seed located in a nearby cave. Note: You will need to find three seeds in total, one for each Tweedle Dee. Seed #1: The first seed is located straight ahead in a cave to your right. 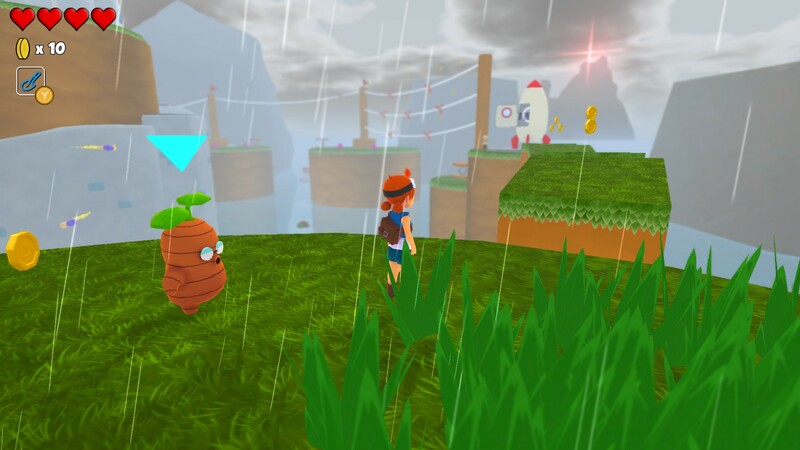 Head inside and collect the seed, then exit the cave, turn right, and head over to the three grassy ledges leading up to several rocky cliffs along the map wall. Seed #2: Traverse the rocky cliffs and you'll come across the second cave embedded in the wall to your right. Again, enter the cave and interact with the seed to collect it. Next, exit the cave and look down to your right. There, you'll see a series of white ropes leading to the final cave. Take care to avoid the snail on the first rope on your way down. There, you'll see a series of white ropes leading to the final cave. Take care to avoid the snail on the first rope on your way down. 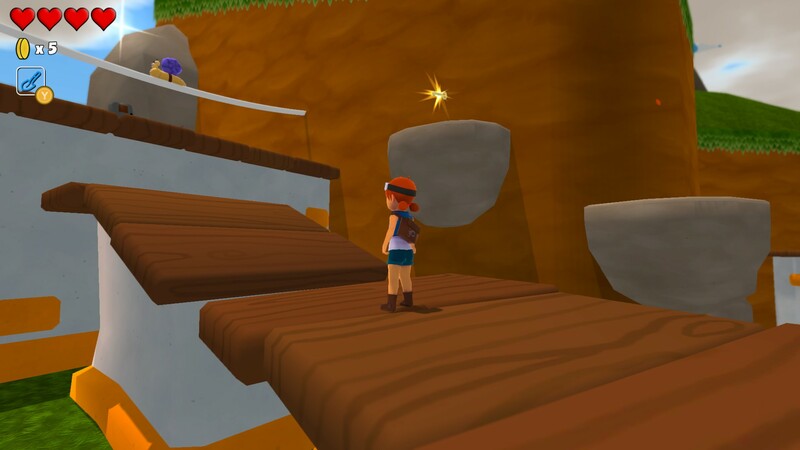 Seed #3: Follow the white ropes down and collect the final seed, then return to the circular patch of sand where you first found the three Tweedle Dees. Head past the three Tweedle Dees and talk to the one wearing a black top hat. He will start The Flower Festival competition and an animation of three growing flowers will play. 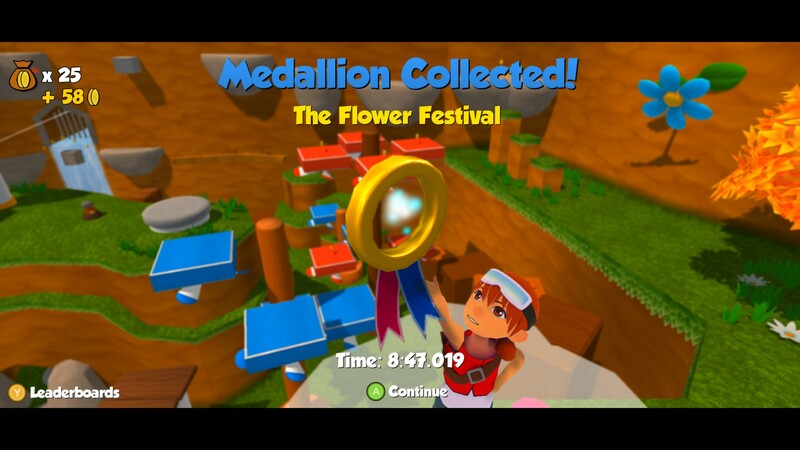 With the Explorer Medallion unlocked, proceed up the three large flowers starting with the blue one. By climbing the flowers, you'll see an opaque cloud hovering above the tallest yellow flower. 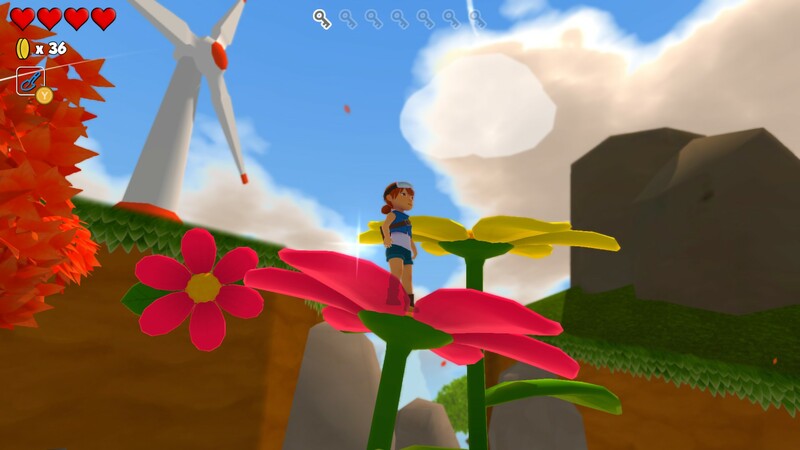 The Explorer Medallion is hanging slightly above the cloud and can be collected by jumping up and grabbing it while standing on the yellow flower. 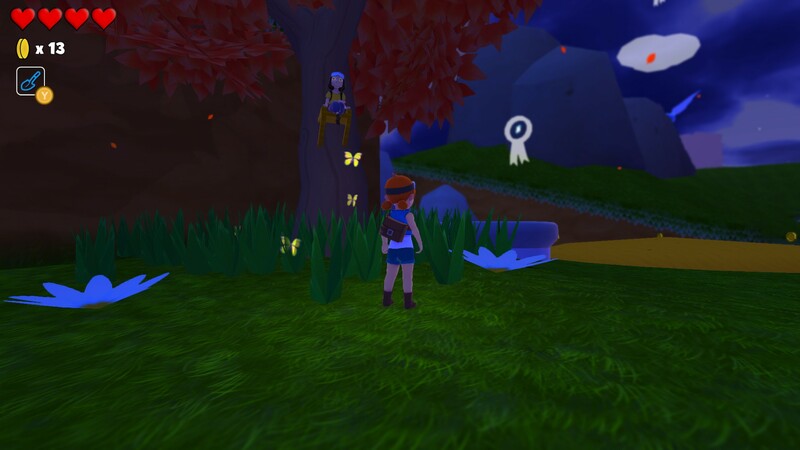 Similar to the Trees and Keys quest in The Forest, you'll need to gather 7 keys hidden throughout Cozy Canyon. To do this, head straight down the same yellow path used in the previous two quests. Key 1: After heading down the path, turn right and walk forward in the direction of the white rope with the snail on top. There, you'll find the first key floating above one of the rocky cliffs to your right. 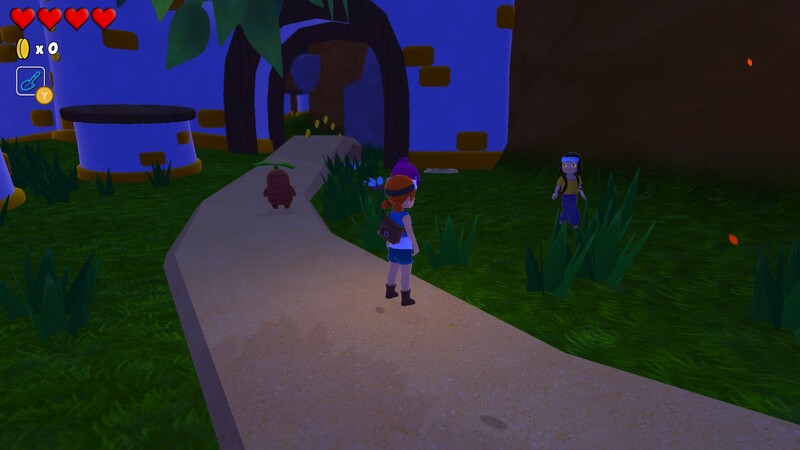 Key 2: After collecting the first key, jump onto the white rope and head to the circular patch of sand where you first encountered the Tweedle Dees in The Flower Festival quest. Straight ahead, the second key is located above a tall wooden platform. 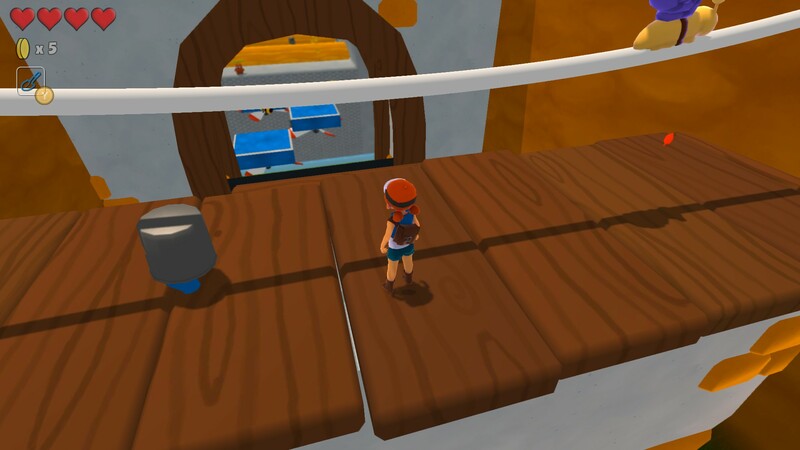 Key 3: The third key is located near the wooden platform where you found the second key. 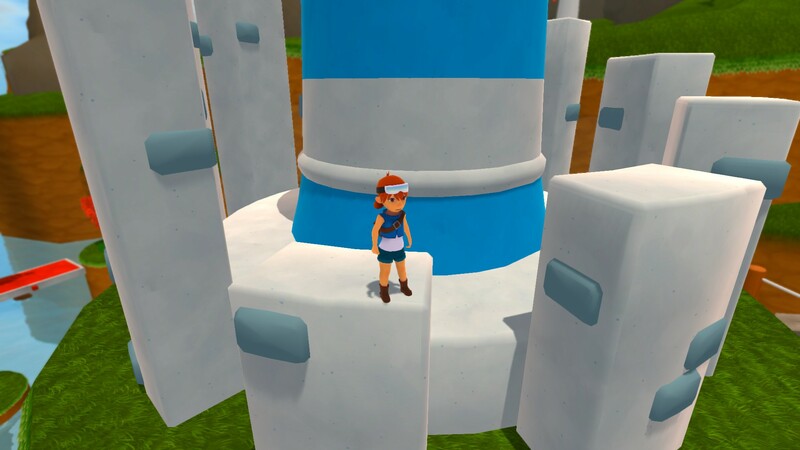 To grab the third key, jump onto one of the rotating blue platforms and make your way to the highest one. 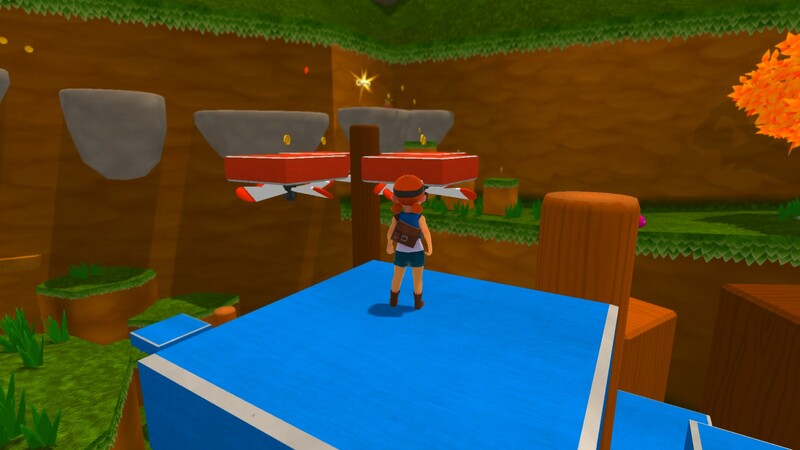 Wait until the blue platform swings you close enough to jump over to one of the rotating red platforms, then jump to the center pole and grab the third key. Key 4: To find the fourth key, head past the windmill to the wooden crank you used to turn on the power. Straight ahead, you'll find the fourth key next to a white rope with a snail on top. Key 5: After collecting the fourth key, hop onto the first rope and either kill or jump over the snail. Next, climb up the second rope to collect the fifth key waiting for you at the top. Key 6: Once you've collected the fifth key, jump down and traverse the series of rocky cliffs that lead past a small waterfall. The sixth key is located above the last cliff. Key 7: Finally, the seventh key can be seen from the cliff where you grabbed the sixth key. To grab the final key, climb down and make your way to the narrow grassy ledge near the windmill. After the final key is collected, an Explorer Medallion will appear directly above you. To unlock the Hide and Seek Medallion, head straight across the yellow path toward the first Tweedle Dee. Nearby, you'll notice a girl with a yellow shirt walking through the grass. 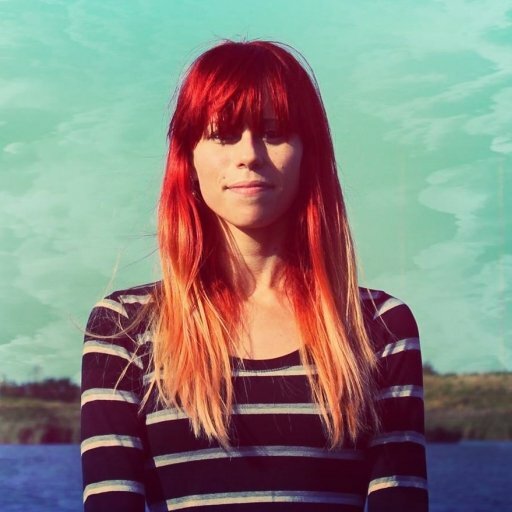 Head over to the girl and interact with her. 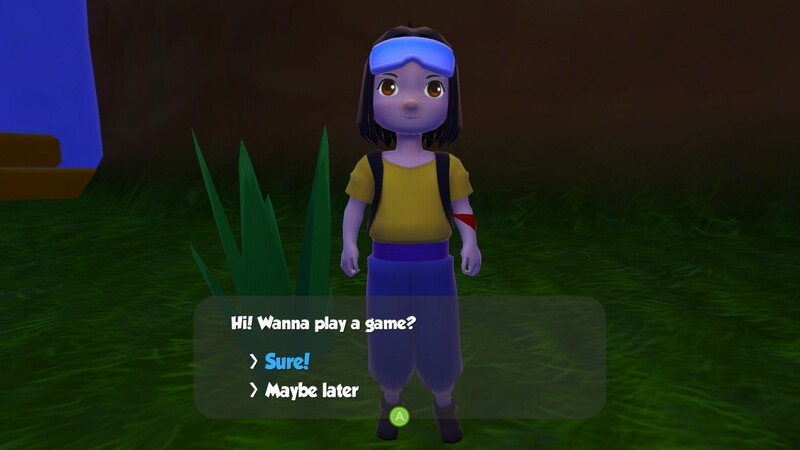 Once you interact with her, she'll ask you if you want to play a game. Hit the "Sure!" option to begin the Hide and Seek quest. 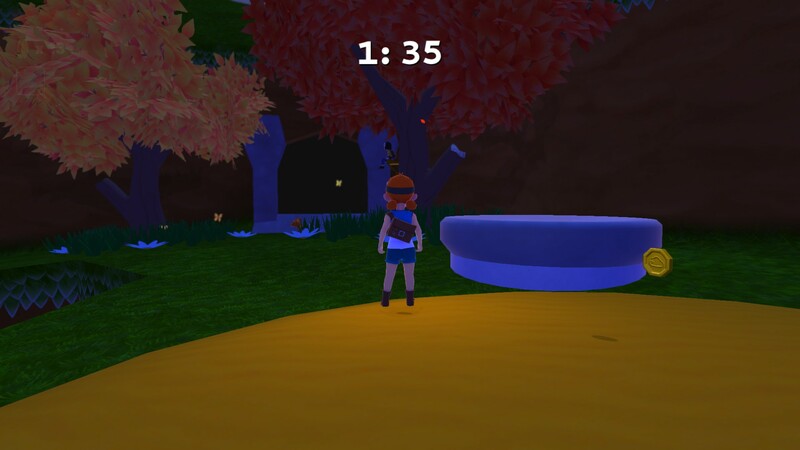 A countdown clock will appear at the top of your screen, giving you 2 minutes to find where the girl is hiding. To find her hiding spot, head to the sandy patch of dirt from The Flower Festival quest. If you look straight ahead, you'll see her sitting on in a tree near the cave where you found the first seed in The Flower Festival quest. Walk up underneath her and talk to her, letting her know you've discovered her hiding spot. She'll reward you with an Explorer Medallion, which appears to your right. To unlock the Rocket Blastoff Medallion, head back to the area with the white rope leading to the circular pit of sand. Head underneath the rope and through the doorway to Cozy Canyon's second area. 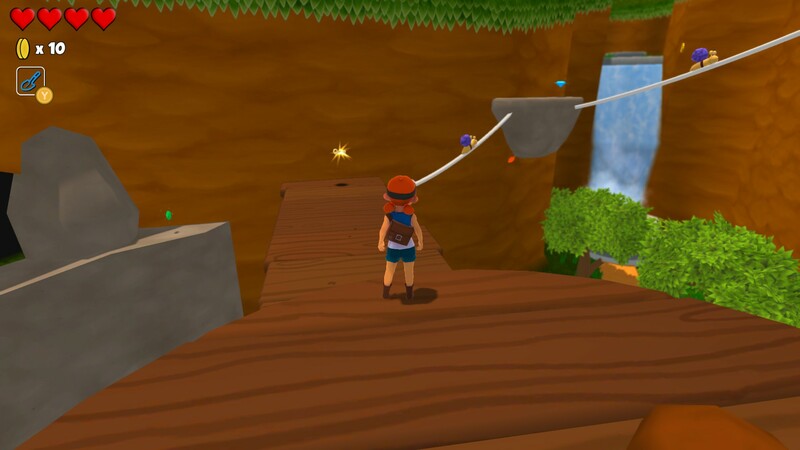 Instead of jumping on the moving platforms, drop down into the water below and turn to your right. There, you'll see an island with a wooden sign. 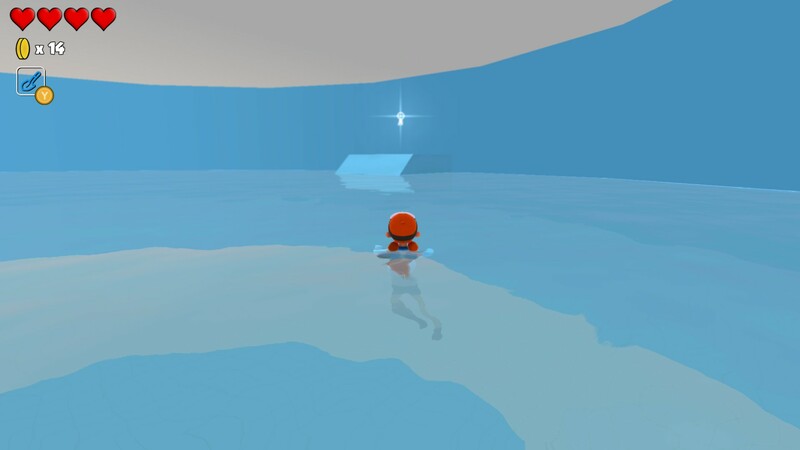 Swim to the island, then hop on the moving blue platform and ascend to the next grassy area. Head past the Tweedle Dee and jump onto the staggered grass platforms heading toward the rocket. When you reach the rocket, speak with the old man. 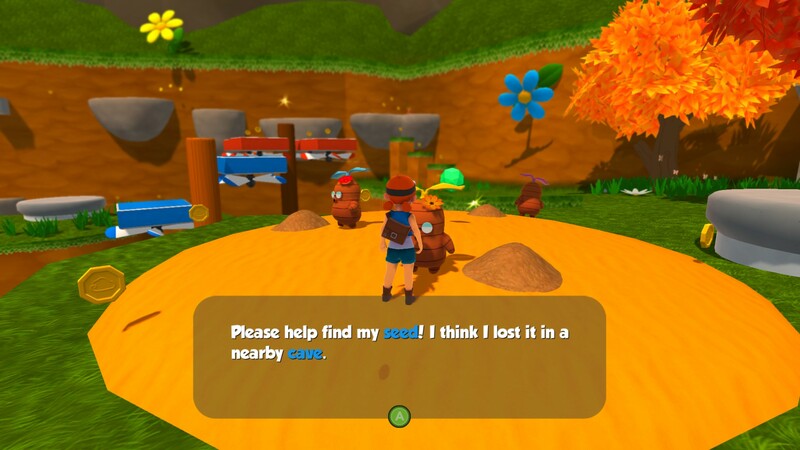 He'll ask for your help in tracking down a lost rocket part and will suggest using a compass to find it. If you don't own a compass, return to The Sky and purchase one from the Master Explorer. You can use the compass to track down the missing rocket part, or you can see where the part is located in the image below. Note: We strongly recommend learning how to use your compass, as it comes in handy later in the game. To find the part, hop into the water near the rocket and swim around. 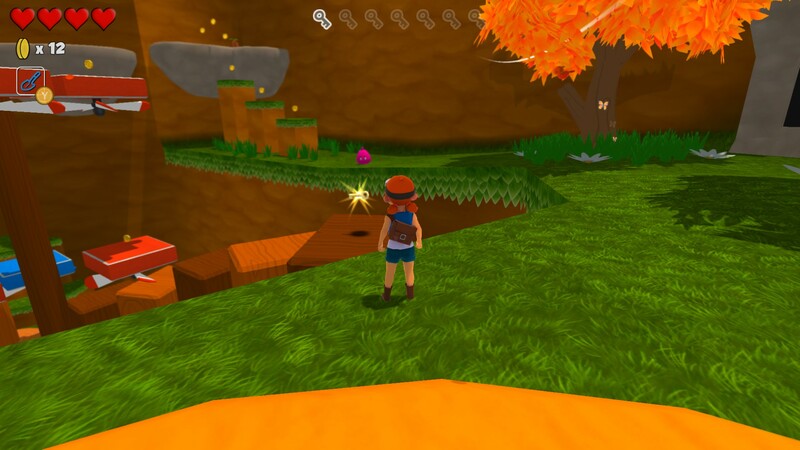 Nearby, you'll find an open area with a floating blue jewel, coins, and the missing rocket part. Collect the part, then return it to the old man to unlock the Rocket Blastoff Explorer Medallion. 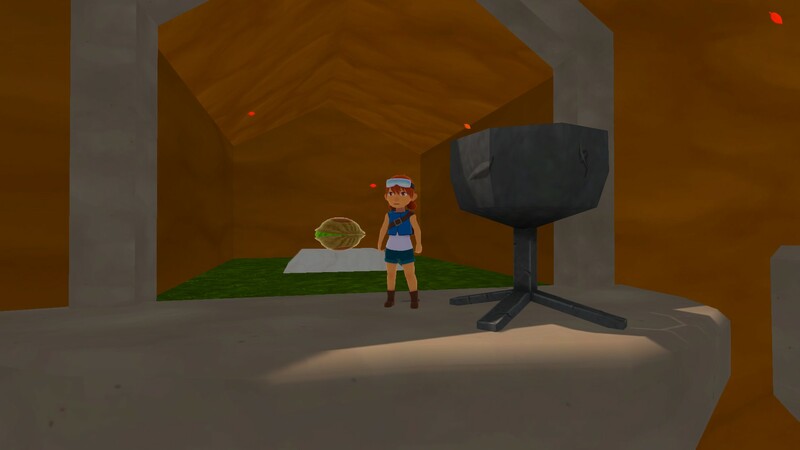 Just like the 100 Coins quest in The Forest, you'll need to collect 100 Coins in Poi's Cozy Canyon map. 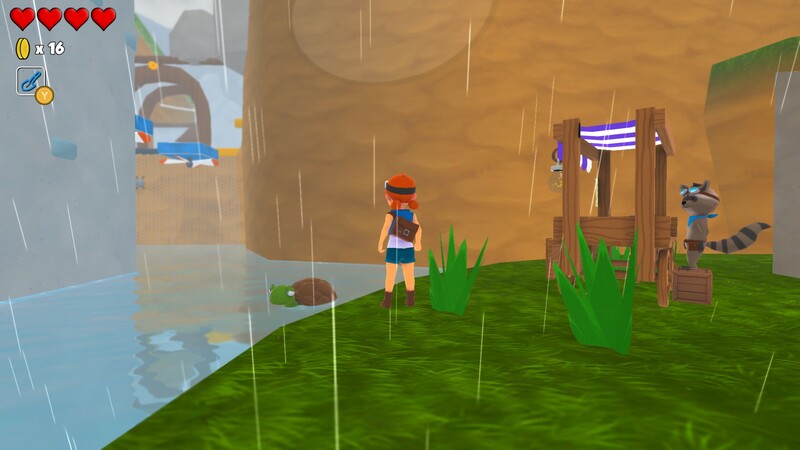 To find the raccoon, head to the second area of Cozy Canyon and jump down into the water. Swim to your left and you'll see the raccoon's cart near a friendly sea turtle. 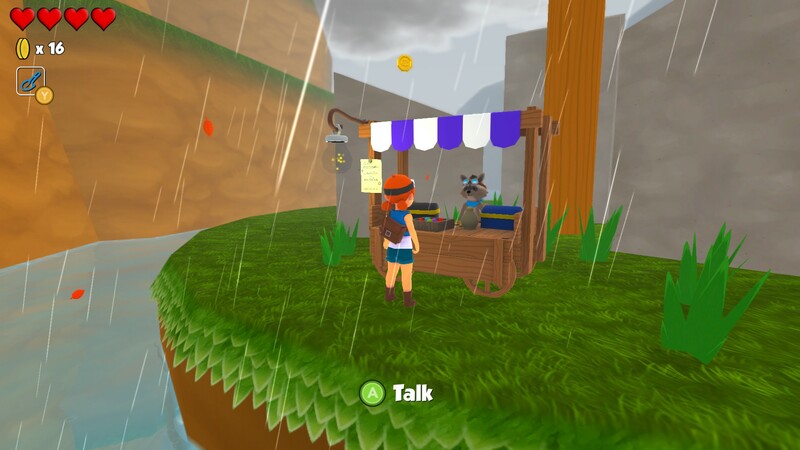 Collect all coins and gems found scattered throughout the Cozy Canyon map. Remember to either avoid enemies or kill them, as their attacks will cause you to lose coins. When you've collected 100 coins, head back to the raccoon's cart to unlock the 100 Coins Medallion. 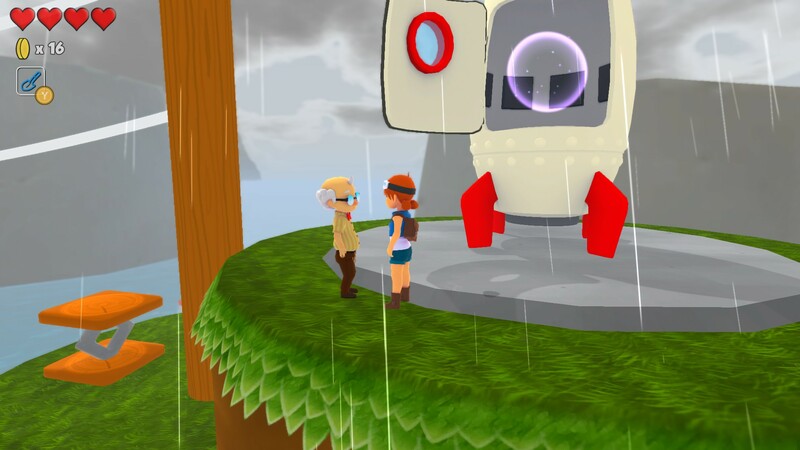 The final Explorer Medallion in Cozy Canyon can be unlocked through the Mystery of the Lighthouse quest. 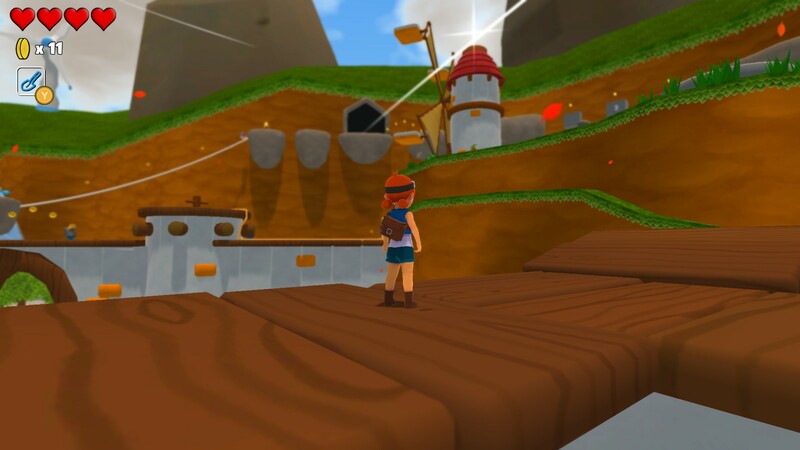 To begin this quest, head into the second area of Cozy Canyon where you completed the Rocket Blastoff quest. 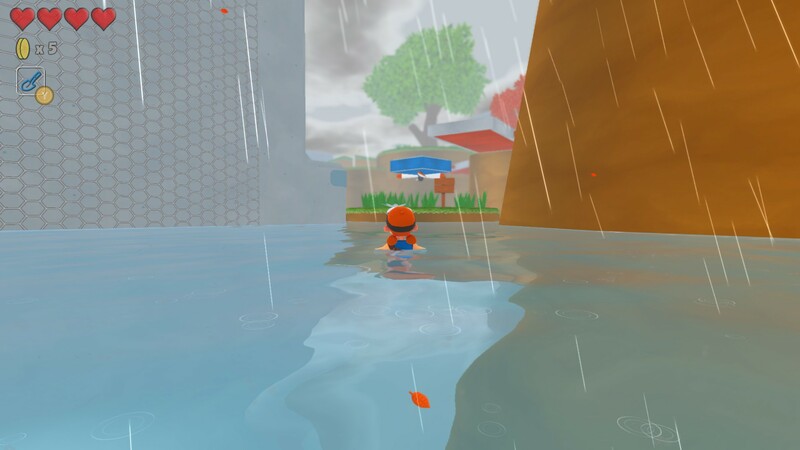 Instead of dropping into the water, hop across the moving platforms toward the red checkpoint flag straight ahead. 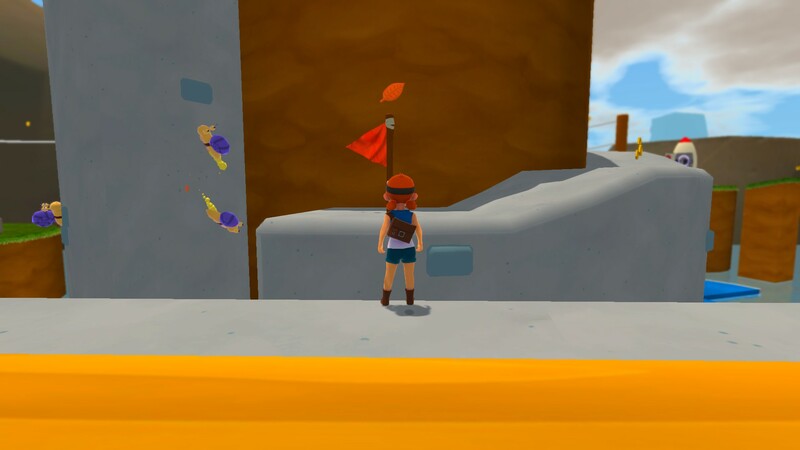 Jump onto the cliff where the red checkpoint flag is posted, then head right and follow the path past several spike traps. 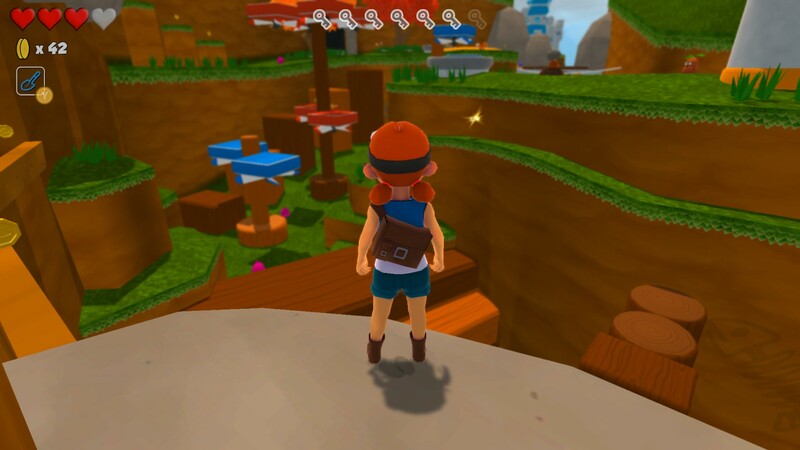 At the end of the path, you'll find the lighthouse surrounded by several rotating gray platforms. Next, climb the platforms and ascend to the top of the lighthouse. After jumping into the circular opening atop the lighthouse, you'll find yourself face-to-face with the octopus mini-boss. 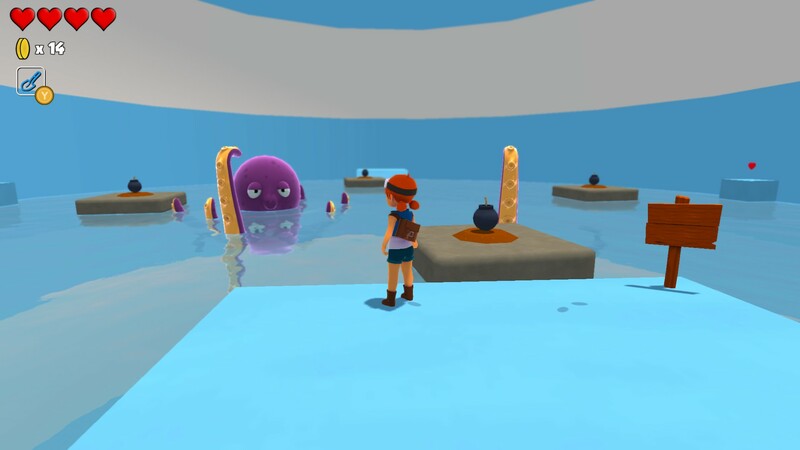 To defeat the octopus, head over to one of the platforms with a bomb in the center. 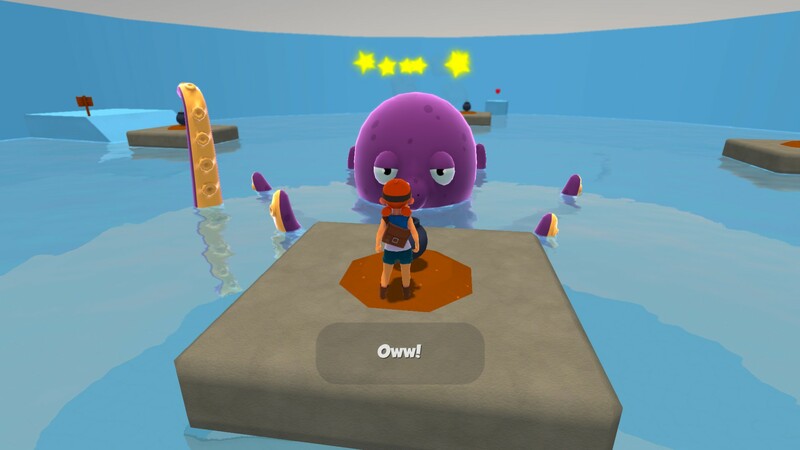 Wait for the octopus to swim close to your platform, then move forward to kick the bomb at the octopus. Repeat this process until the octopus is defeated. Defeating the octopus mini-boss will unlock Cozy Canyon's final Explorer Medallion. 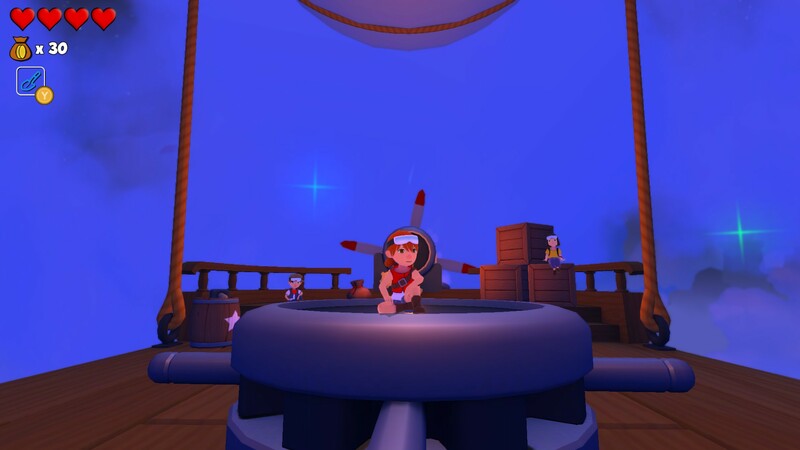 Collecting the Mystery of the Lighthouse Explorer Medallion from atop the blue platform will return you to the Master Explorer's ship in The Sky. For more Explorer Medallion locations, be sure to head back to our Explorer Medallion Hub. 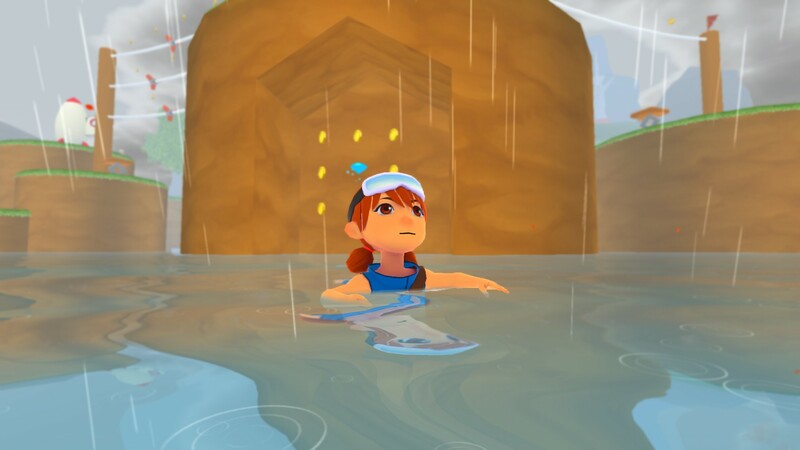 By following this guide, you should have all 7 Explorer Medallions unlocked in Cozy Canyon!